Whenever I meet elementary age children who don’t attend my school district , I ask them to tell me their favorite physical education activity. I am always looking for new ideas, but in general I am disappointed with what I hear. Often children will tell me “FREE CHOICE” is their favorite activity. I had one child tell me their favorite activity was running laps! I am left wondering is this really reflective of what they do or was this just the activity that first came to mind? How would my students answer? I love it when a child describes an activity or game where the rules are crazy and there are lots of different actions happening. It tells me the teacher and students are creating and changing games to fit specific needs. When I reflect on these scenarios I understand why students like “FREE CHOICE.” Children like to make their own choices, in fact we know that when students are involved in decision making it increases personal responsibility and satisfaction. However, “FREE CHOICE” kind of sounds to me like “do whatever while I do whatever.” It would be difficult to defend “FREE CHOICE” as purposeful teaching. On the contrary, I love the great alternative “PAYDAY!” Unlike its’ counter activity, “PAYDAY” is a great integration activity that enables the teacher to differentiate, give students choices, all while keeping PA high! PAYDAY OVERVIEW: Students are given s a little bit of money (fake coins) to start game. They then can choose to purchase time on equipment or “work” to earn more money so they can purchase time on highly desirable equipment. Equipment rental is 2-3 minutes so they quickly run out of money and are looking to “work” and earn more money. More Details: Gym is set up with lots of equipment: hippity hops, roller racers, climbing rope, pogo sticks, stilts, pedalos, jump ropes, football, mat. basketball….. I am positioned at a small desk in front of my white board which has a “MENU” on it. . I pay students 5¢ for doing various activities; skipping two times around gym, 5 jumps backward with jumprope, 5 pushups, 5 situps…..I can even pay them to perform a skill I am assessing! I pay students to tie shoes of their friends, or to learn a skill from another student. I pay lots of money (25¢) to teachers! If I know a student knows how to tie shoes, carioca, do a cool jump rope trick, perform a cartwheel, juggle……they get paid to teach other students. Teaching sessions typically last 2-3 minutes. I pay students when I assign them the job. I explain this isn’t typical of real life but I trust them to do a great job. This keeps the activity moving. Remember I also pay students to learn, but because I pay teachers at least double, the incentive to learn the skill and then become a teacher is very great! And we know that the best way to master a skill is to teach it! If the student does an outstanding job either learning or teaching I often give them a bonus! One of the things I love about this activity is it allows me to differentiate like crazy! I can give my highly skilled students a difficult skill to go practice or even teach. I can give my lower skilled students a simple skill to practice. Because I know my students’ needs and strengths I can give them tasks that meet those needs. Often students will travel with a partner and I give them joint tasks. 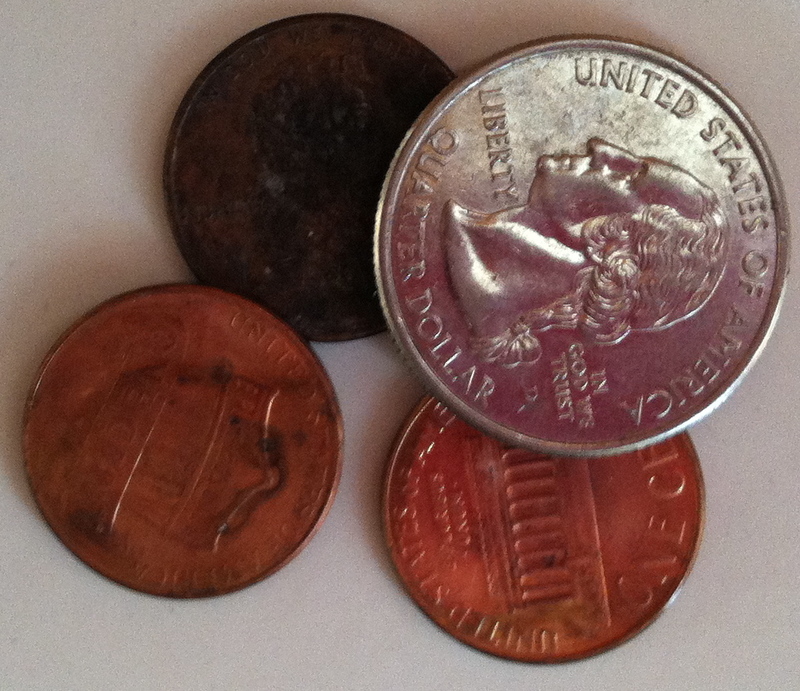 I use a greater variety of coins, change pay rates, and increase costs with my older students. I have two lines at the sides* of my little table. One line is for students who want to purchase use of equipment. One line on the other side of table for students who want to earn money. My menu board posted on the white board behind me is in a table format, like this but with the table lines. Football 10¢ with about 10 other choices varying in price. Now let’s talk about math integration! Wow! Students have to make change (subtraction with manipulatives), monetary value practice, budgeting, monetary planning! In addition students are reading a table (menu) and making decisions based on the table! *important to have students lines go off to sides so I can have a clear view of all activity in gym. I also have students practice concepts like identifying a muscle and then demonstrating an exercise to strengthen or stretch that muscle. 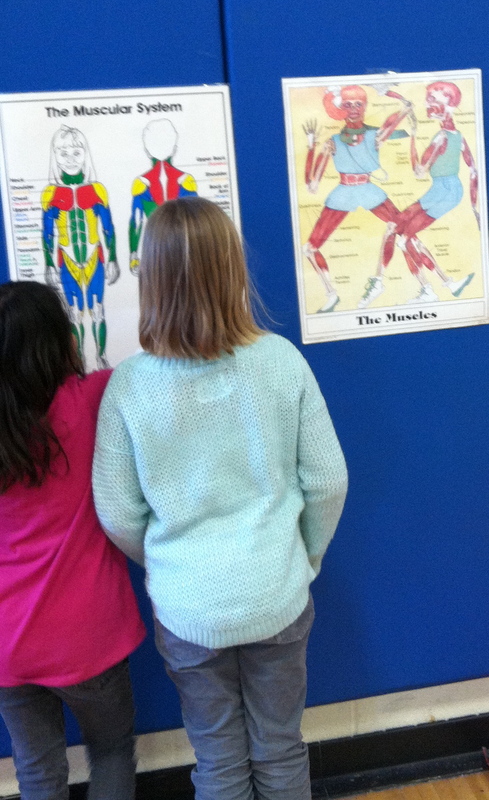 Students have to locate quadriceps and show a partner one exercise to strengthen their quadricep. Love this Payday activity. My third grader just completed min-society with his grade level economics unit. What a terrific way for you to integrate as well. I am going to share this with our Elementary P.E. staff. Another great idea from the Master Teacher Burrows! I love your blog! Thank you so much for sharing your ideas with us! I have a question about your pay day. I really LOVE this idea. I plan to allow the students to use the “dollars”/points that they have accumulated through the month as a positive reinforcement. Now, I am wondering, how do you keep the lines short. I have a feeling the lines will get long (I’m referencing to a class of 25), also, how to you keep record of how long they have had the equipment or they have been teaching to another student. Thank you for you blog!!! Thanks for your insightful questions. Let me try to address them. First of all, I too have between 20-25 students in classes. To keep the “earn money” line short and especially at the beginning of the activity (to get everyone spread out and moving) I will assign the same job to the first 5-10 students in line. I hand them each 5 cents and say “skip three times around gym.” The tasks are usually simple skills that they already know how to do and/or maybe just need some practice time. This will spread them out and I can even do a quick visual assessment. When they get in the “purchase” line I have instructed them to do two things that keep them moving through pretty quickly. I want them to have an idea of what they are purchasing and then check and see that they have enough money. Once they have done Payday, and you’re not explaining how it works you can even tie in goal setting! “You want to earn some time on roller racer, that is your goal. You will have to earn some money to get there, that is how we work toward a goal! Ahh, I get carried away, back to your questions! Your next question about time, I don’t keep track. I tell them they should be there about as long as they are at a station, or roughly one song (I always have music playing). I let them police themselves. If a student purchases use of the pogo stick and they are all taken, I give them the choice of doing something else for a few minutes, or waiting over by the pogo sticks. Occasionally I will tell specific students that they have been at equipment long enough but they are pretty good about switching things up. When I have students teach, first I will ask them if they would like to work as a teacher. Most of my students are excited to be an “expert” at a skill and are excited about teaching. If they don’t want to teach, I give them a different job. I have some students who will really spend 5-10 minutes with a peer, teaching them to crisscross the jumprope or shoot a layup. When they are successful at teaching or learning I usually give them a bonus! Sometimes I have to say “Enough! You have both worked super hard, how about spending some of your money!” And if I have one student who can do something outstanding they might teach a small group of 2-3. For example, I had a first grader who could do crisscross with a jumprope. He taught a bunch of other students, some of them became teachers and taught….! Often the teaching sessions last longer than 2-3 minutes depending on the skill they are teaching. My students get determined and they want to work on something or with someone until they get it. If they are into it, I let them keep at it. Hope this helps. I am looking forward to hearing how it goes for you!